Wiring Diagram to Pin 13 for a single relay? This might help. 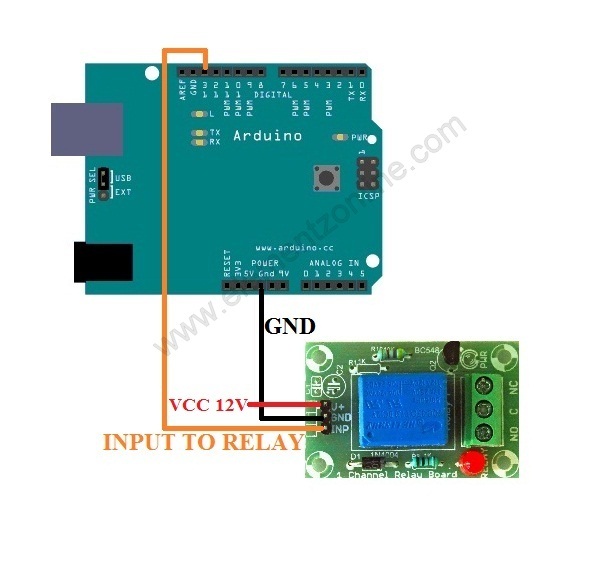 I believe that the Arduino ground should be common with the 12v source ground. I may be wrong, though that's the way it works for me. Also be aware that some of these relay cards work when the pin is LOW, others when the pin is HIGH. Mine energises when the pin is HIGH, though all tutorials I had read until the last had the relay switching on with a LOW pin. I'd bet that the I/P line connects to the center pin on the transistor through one of those resistors. 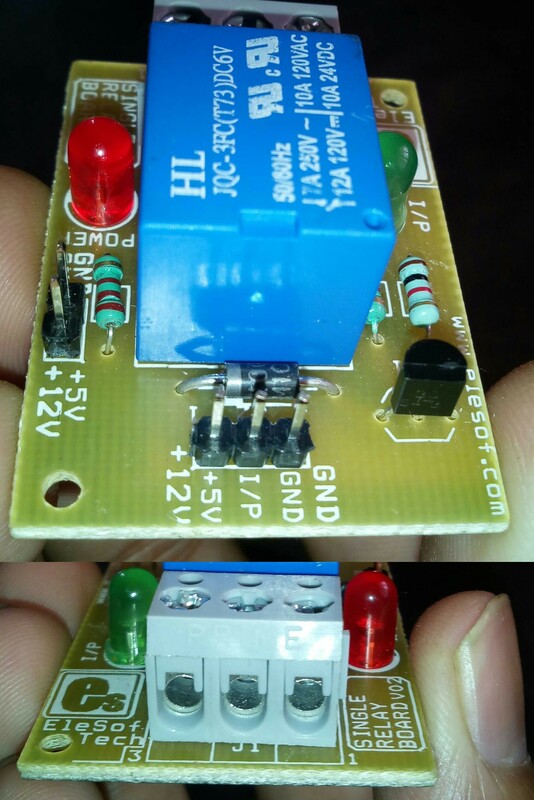 If so, I'd put a 5V 100mA source on the GND +5 pins on the side, then I'd use a jumper from the +5 on the end to the I/P on the end, and see if it triggers the relay as expected. If so, I'd siconnect the jumper and I'd connect the end terminal's GND to the arduino GND, and (maybe?) pin 13 to the I/P line and expect the Blink tutorial that blinks the Arduino's LED to click the relay in time. I'd bet that screw terminals are the outputs, connecting to the right hand pair of outputs, and the center of the left hand three inputs. And that the control terminals are the pin connectors, with the I/P conneting through the transistor to one end of the coil, with the other end of the coil going to the +5V/12V pin connector. There are likely two sets of pin connectors to provide for a separate coil/relay supply on the GND,5V12V connector versus a signal or signal plus power on the GND,I/P,5V/12V pin connector. I'd bet the same-named pin connectors are electrically identical. i.e. GND=GND and 5V/12V=5V/12V. If you are controlling other than low voltage devices with this, I suggest you make certain you are safe before applying potentially dangerous currents. Not the answer you're looking for? Browse other questions tagged relay or ask your own question. Which relay should I use to control the power from mains?